Large pores develop with age as the skin's reduced elasticity causes the pores to dilate. Large pores can be quite upsetting. They make your skin look imperfect, dull and unsmooth. Though, pore size is genetic, it is possible to reduce their appearance. 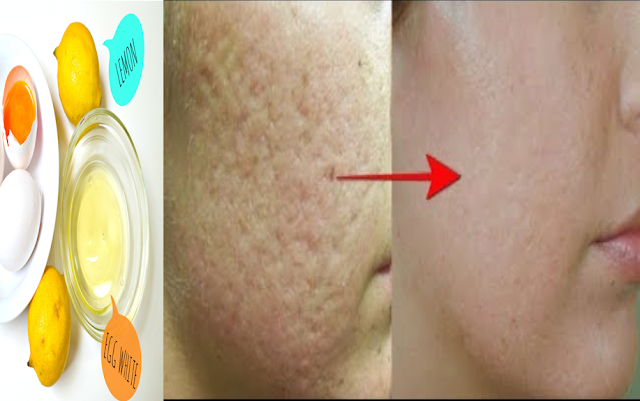 You cannot permanently shrink your pores, but you can reduce their appearance. Keeping your skin clean and moisturized will improve the condition, and a few home remedies can also help diminish large pores on your face. The following home remedies will help you fight the problem of enlarged pores and gain a smooth skin tone. They will minimize/reduce/close the large pores and battle blemishes. Make a homemade scrub using crushed almonds and grounded orange peel. It is a great way to cleanse your skin and remove dead cells. Rub it on your face, neck and nose, to reduce the big and open skin pores. Take lemon juice (1 tablespoon), rose water (1 cup) and cucumber juice (1/2 cup). Mix all the ingredients together and apply all over your enlarged pores. You will see a visible difference after a few applications. Apply mashed papaya on your face for shrinking and closing big pores. It purifies and exfoliates your skin, and removes impurities, such as excessive oil, clogged pores, blackheads, etc. Honey tones up large pores and reduces excess oil. Combine honey with some lime juice and a bit of sugar to fight your face blemishes. Massage it all over your face, leave it for 10-12 minutes and wash off with lukewarm water. Mix these two constituents together, and apply evenly all over your face. As the egg white dries, it pulls out debris from your skin and lightens your skin. Since oatmeal is known to be hypoallergenic, it does not clog pores. Make a mask containing oatmeal, honey, apple cider vinegar to minimize pores, tighten skin and enhance your skin complexion. Plain fresh yogurt can be applied on your face, before entering shower. The lactic acid in yogurt eliminates dead skin cells, reduces pore size, and removes dirt and excess oil from the open pores. Ice cubes shrink giant pores on your forehead, nose, cheeks, chin, etc. It is probably the easiest remedy as all that you need to do is, apply the ice cube on your large pores. It works as an instant fix. Wrap your ice cube in a handkerchief and gently press it all over your face. Ice keeps your face oil free and minimizes pores. Mix 2 tablespoons of baking soda and 2 tablespoons of warm water, and make it into a paste. Apply the paste on your pores in a circular motion for 30 seconds, approximately. Rinse off with cold water. Besides the above listed remedies, it is very important to drink lots of water and eat green vegetables. They benefit greatly in minimizing the intensity of open pores and tightening your skin. Staying healthy reflects through your beautiful skin.